Pinter 3: Landscape/A Kind of Alaska/ Monologue tickets are now available for The Pinter at the Pinter season. Cast includes Keith Allen, Tom Edden, Lee Evans, Tamsin Greig, Meera Syal and -- at select performances-- Penelope Wilton. 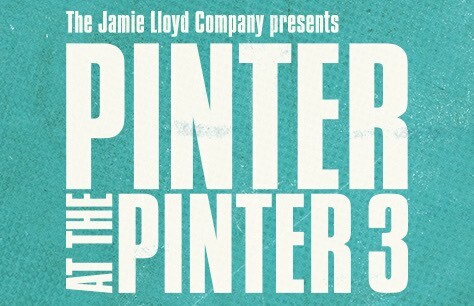 Do not miss your chance to see the Pinter 3. Book your Pinter 3: Landscape/A Kind of Alaska/Monologue tickets to Pinter at the Pinter now to ensure the best seats at the best prices. The Pinter at the Pinter Season consists of 7 different productions, make sure you have tickets to all of the others as well! Also coming to the Pinter at the Pinter season is Betrayal starring Tom Hiddleston! I thought that this was a very moving collection of thought provoking plays, complemented by the well placed occasional amusing monologue and scene. Tamsin Greig was superlative. I have always known she was a very gifted actor but in the two pieces in which she performed she was astonishing - her sensitivity of touch and range of accents and emotions was breathtaking. The production itself was well thought out with good links from one piece to the next.